For those of you who frequent Whole Foods, you may have noticed a newcomer on the superfood aisle: tigernuts. Despite the somewhat menacing moniker, tigernuts are derived from neither tigers nor nuts; in fact, these coconut-flavored tubers are actually root vegetables native to Northern Africa and the Mediterranean, as Vogue reports. Tigernuts earned their ferocious-sounding name due to the stripes on their outer skin and live up to their intense reputation in the nutrient department. A veritable fountain of prebiotic fiber, potassium, iron, vitamin E, and unsaturated fatty acids, tigernuts are in the midst of their meteoric rise to fame as the latest and greatest superfood. A direct competitor of almonds and cashews, these sweet-tasting, low-calorie bits make for the perfect midafternoon snack as well as a safe alternative for people with nut allergies. While tigernuts may be new to American health food stores, they’re anything but within the larger health community. Just look at Jack Sims, the man credited with bringing these nutrient-rich tubers onto American soil. Sims grew up eating tigernuts in the UK, mainly as a candy replacement during World War II, when candy was rationed. He later discovered that “tigernuts are probably the healthiest ‘single source’ snack on the market” and subsequently opened his tigernut business in Newburgh, New York. But by far the most active producer of tigernuts in America is Organic Gemini out of Brooklyn, New York. 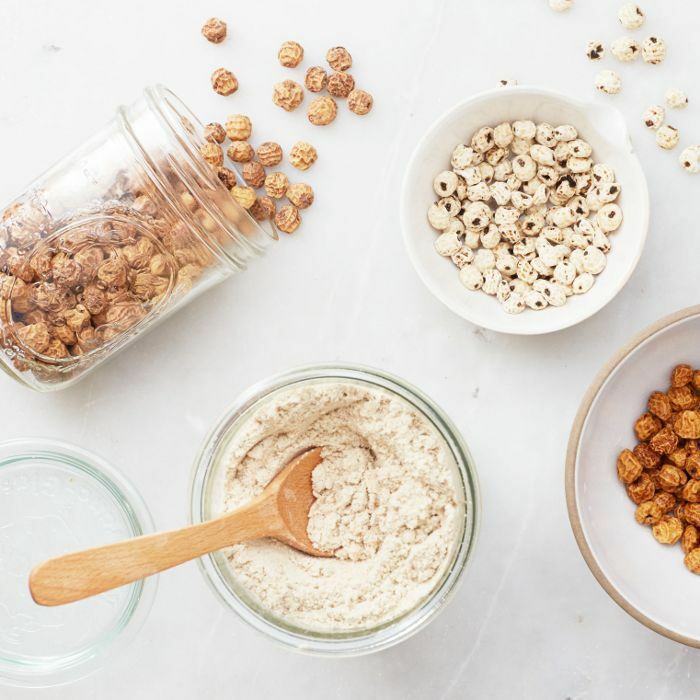 The young company, which started just two years ago, in 2014, now produces organic tigernut snacks, flour, horchata, oil, smoothie mix, and more. 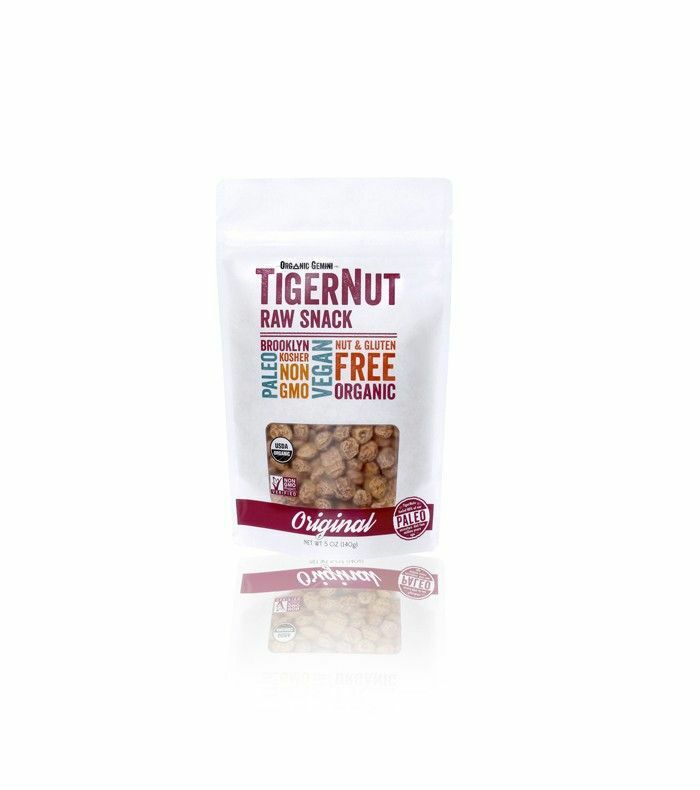 Sample some of Organic Gemini’s original tigernut snacks, and share your product review with us.